Gatefold cardboard cover with 26 page insert booklet - includes extensive liner notes and photographs - comes in hard cardboard embossed slipcase. Track 4: Another Schroeder/Garage Flower Production. 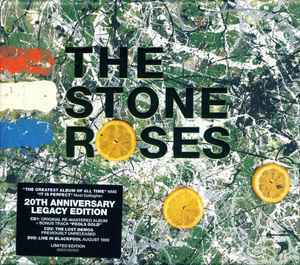 Live set recorded Saturday, 12th August, 1989 at the Blackpool Empress Ballroom. All tracks published by Zomba Music Publishers. ℗ & © 2009 Silvertone Records Limited. Silvertone Records Limited is wholly owned by Sony Music Entertainment UK Limited.